Recently, the Flower City Arts photo department had their annual garage sale. 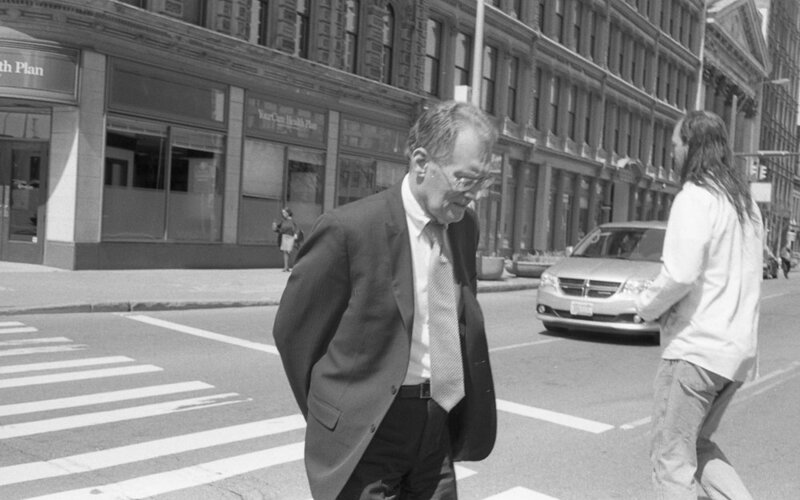 I picked up a couple ridiculously cheap Canon QL17's, loaded them up with Kodak film and set off into the streets of downtown Rochester to photograph businessmen (mostly bankers and lawyers). Here's five frames from my first roll of Tri-X. Still getting used to rangefinder focusing as well as zone focusing on the fly. I do not use the meter during the day as I always shoot at f11 or f16. It's fairly easy to guess the shutter speed I need to use.